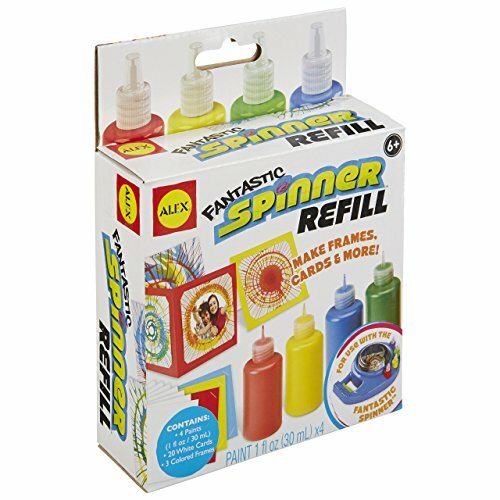 ALEX Toys Artist Studio Fantastic Spinner Refill lets you use your Fantastic Spinner (NOT included) to rev up and make even more spintactular works of art. You never want to run out of supplies once you get started playing with this addictive toys, and now you won’t have to! Includes 4 containers of paint (1oz. each of red, yellow, blue and green), 20 white cards (4in. x 4in.) and 3 double sided card holders (4.75in. x 4.75in.). Recommended for children 6 years of age and older.